There are many different types of data logging and data acquisition instruments on the market. A plethora of thermocouple, optical, pressure, and sound data logging and acquisition instruments and systems exist, however, they are typically restricted to what kind of measurements they can take due to their application design. Meaning, there is not a lot that can be done to those systems in terms of customization in application. 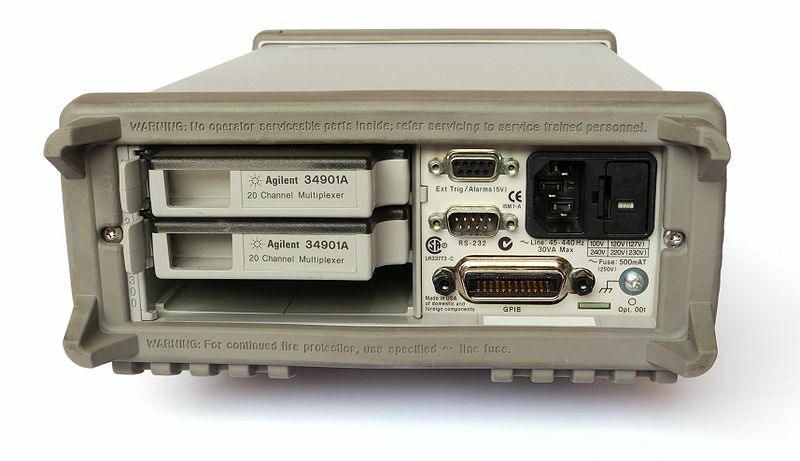 Above is an example of a data acquisition system. There are two plug-in units for thermocouple measurements with a third slot empty. Photo from here. Let’s go over a quick differentiation between data logging and data acquisition. Data logging is the process of an instrument reading data and storing that data locally on an SD card or some sort of internal/on-board memory. 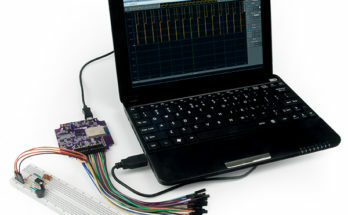 Data acquisition (commonly referred to as DAQ) is the process of an instrument sending read data to a computer. 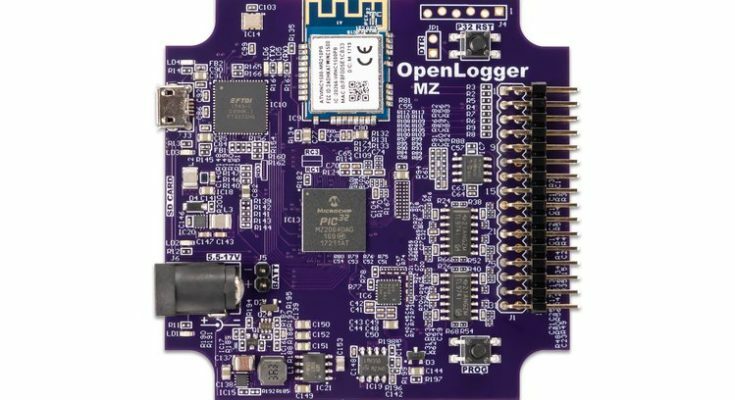 The OpenLogger is really both a data logger and a data acquisition instrument. It can store data on an on-board SD card, stream on WaveForms Live via USB, or send data via Wifi to the Cloud or other wireless applications. The OpenLogger‘s default connections are on-board male headers that read voltage. They are on the right side of the above image. 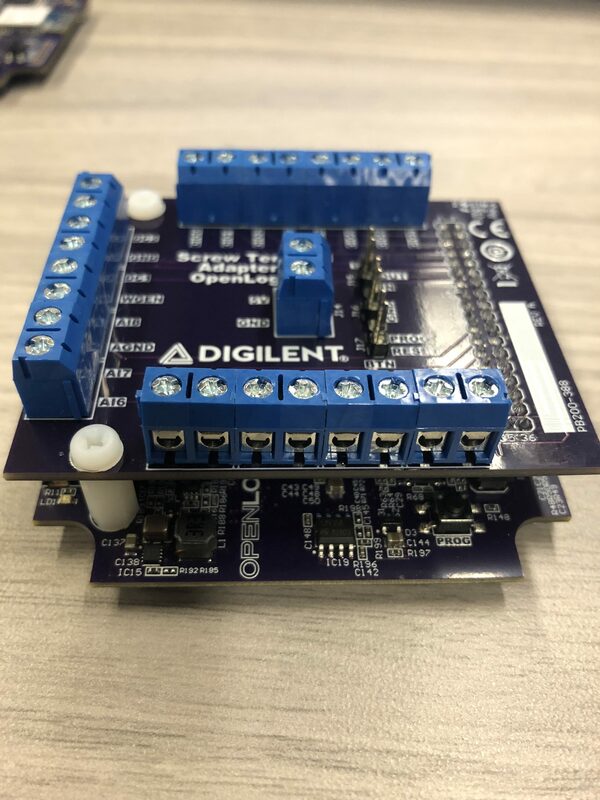 Having said that, you can customize connectors for plugging into other sensors and devices that have proprietary connectors and use them with the OpenLogger. 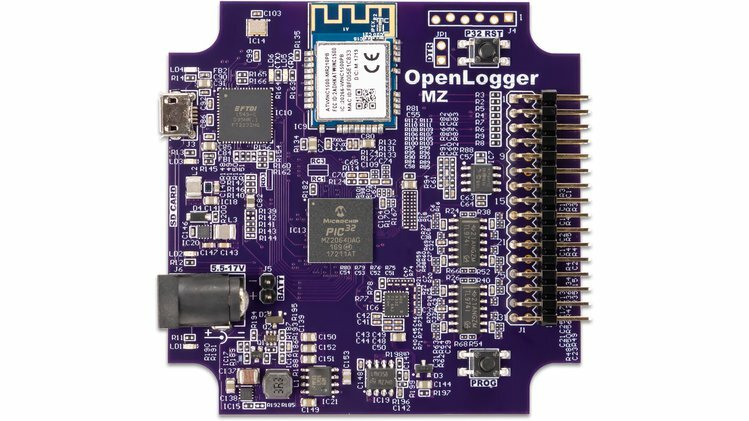 So as long as your sensors or devices produce an electrical signal, the OpenLogger can work with it! 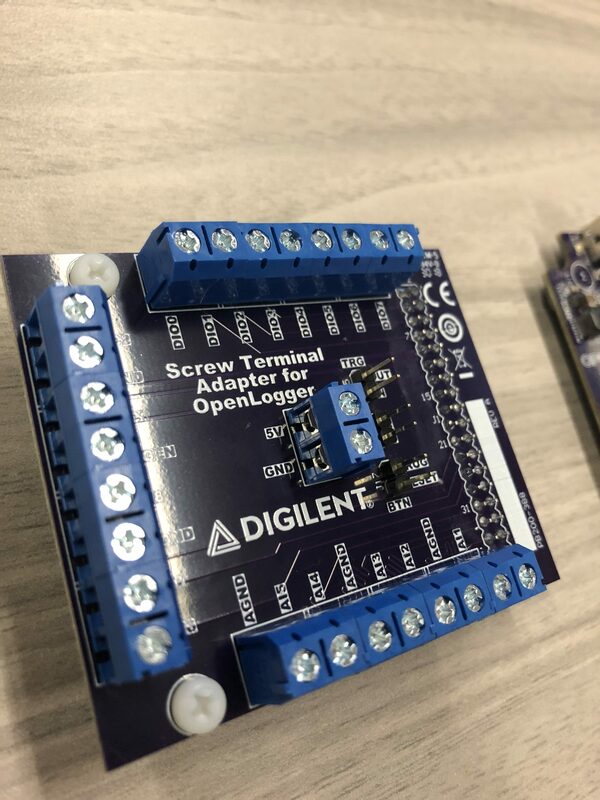 In addition, there is a Screw Terminal Adaptor that allows you to connect and secure lead wires to the OpenLogger for analog and digital IO as well as power supplies and a wave generator input. 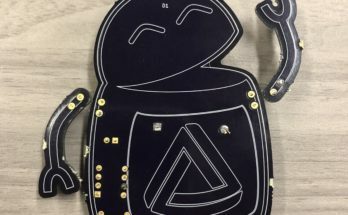 But that doesn’t have to be the end of it; you can make your own adaptors for whatever kind of connection you may need. Rad, right? Below are some real life pictures of the OpenLogger with and without the Screw Terminal Adaptor so you can get a feel for what’s going down. The OpenLogger and all its glory. The OpenLogger with the Screw Terminal Adaptor. Sweet stuff, Maynard. That Screw Terminal Adaptor in a solo shot. 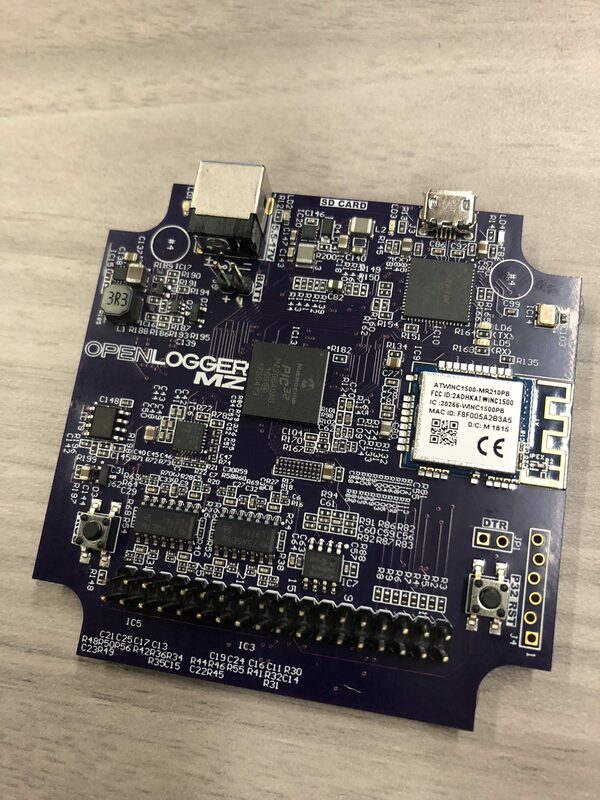 The OpenLogger will be launching soon via Crowd Supply. Check it out by clicking the link below! Previous Article The OpenLogger is Almost Here! Next Article What’s the Deal(s) with Cyber Monday?